Experience a unique sense of comfort and style at the Courtyard Boston Downtown/North Station, located in the heart of downtown, steps away from the TD Garden and within walking distance to Boston’s Financial District & Government Center. 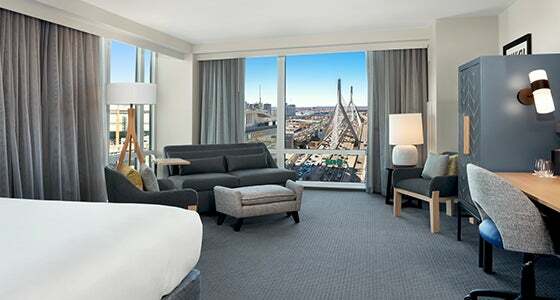 Enjoy unparalleled views of The North End and the magnificence of the Zakim Bridge at night. At The Bistro our on-site restaurant enjoy delectable American cuisine and full-service bar, in addition to Grab-N-Go options. Discover Battery Wharf Hotel and experience the closest luxury Boston waterfront hotel within walking distance to TD Garden. The Battery Wharf Hotel sits steps away from Boston’s Italian North End, the Freedom Trail, and Faneuil Hall Marketplace. Featuring stylish seating areas for sipping, savoring and celebrating indoors and out, Battery Wharf Grille reinvents local New England favorites and local cuisine where Ocean meets the Land. 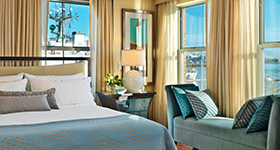 Click below to receive a special room rate from North End’s only boutique hotel located on Boston Harbor.